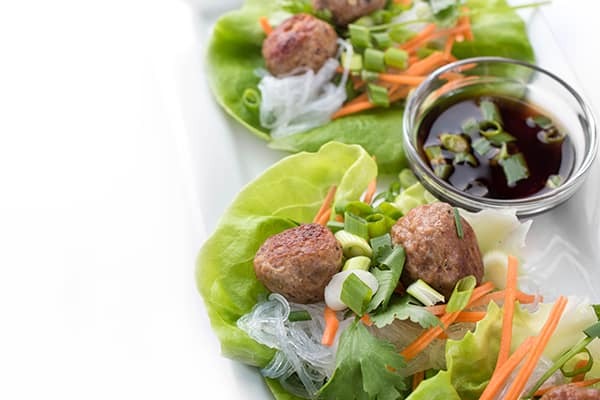 Vietnamese pork meatballs are served in a handheld lettuce wrap filled with rice noodles and crunchy veggies and served with a fragrant dipping sauce. You guys know I’m a HUGE fan of Vietnamese food which is why I eat it almost once a week. 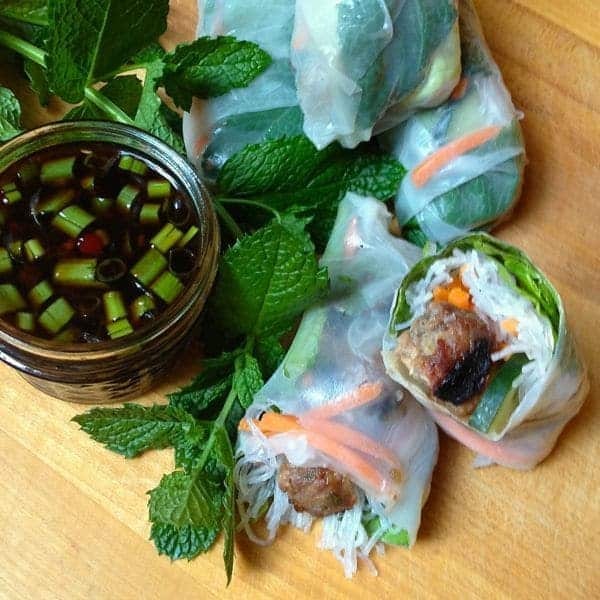 Whether we make a big batch of fresh rolls or pho at home, or head out to our favorite local restaurant, I just can’t get enough of it. 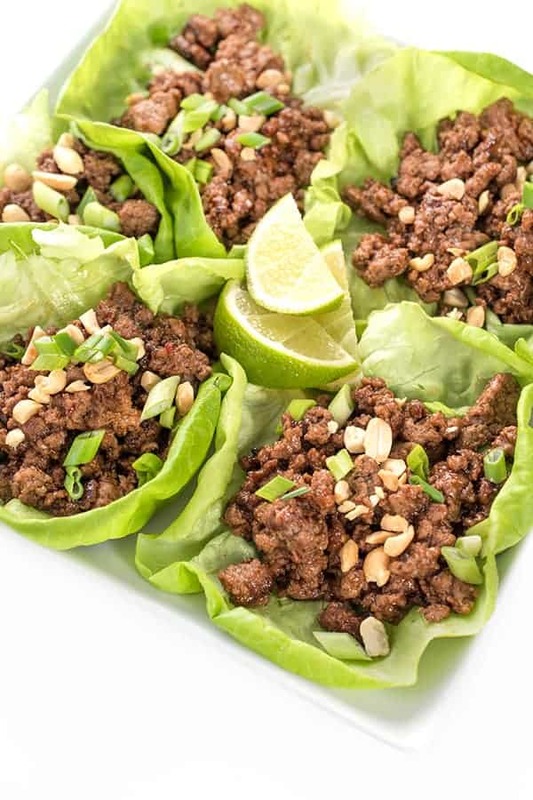 Inspired by the Vietnamese BBQ Pork Fresh Rolls I grew up eating at Mr. Lee’s restaurant, these lettuce cups are my low carb, deconstructed version of the well known appetizer. 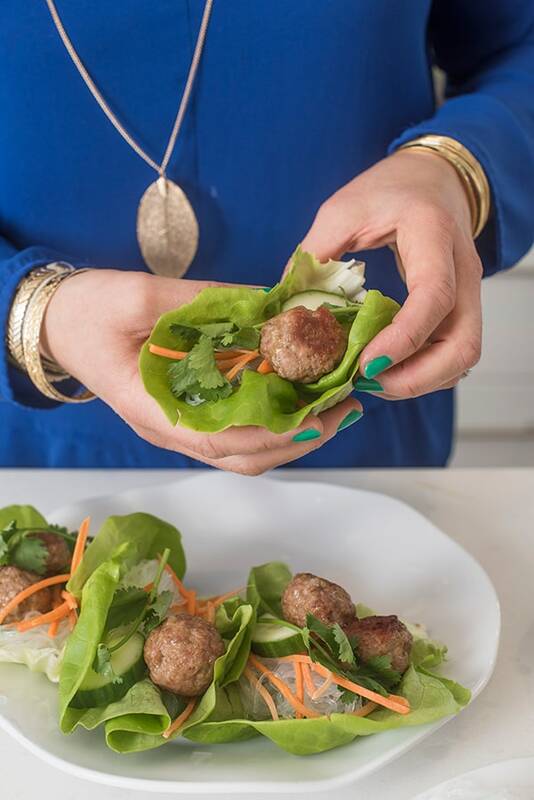 Perfectly balanced with salty, sour, sweet and spicy flavors, juicy pork meatballs are placed in a lettuce cup filled with crunchy veggies and tender rice noodles. Of course, the best part is the sweet and savory dipping sauce that pulls all the flavors together. 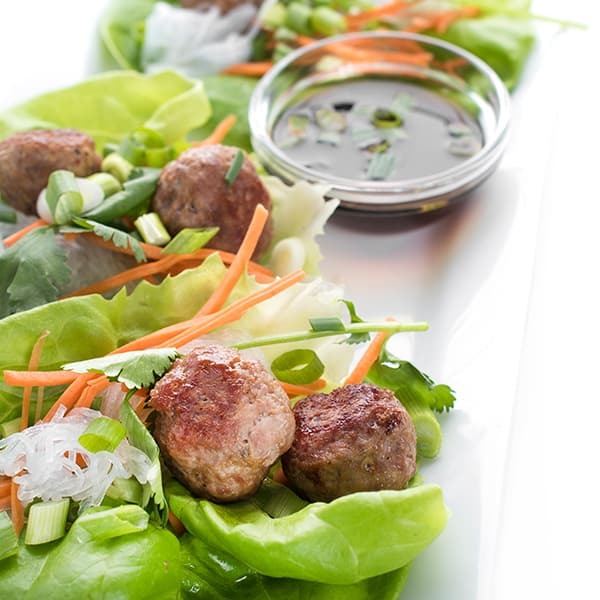 Vietnamese pork meatballs are served in a handheld lettuce cup filled with rice noodles and crunchy veggies and served with a fragrant dipping sauce. Pre-heat oven to 350 degrees and line a baking sheet with foil. Spray with cooking spray. In a medium bowl, mix together all of the pork meatball ingredients until fully incorporated. Using a large spoon or a small cookie scoop, carefully roll pork mixture into small meatballs and place in a single layer on baking sheet. Bake for 20 minutes or until golden brown. 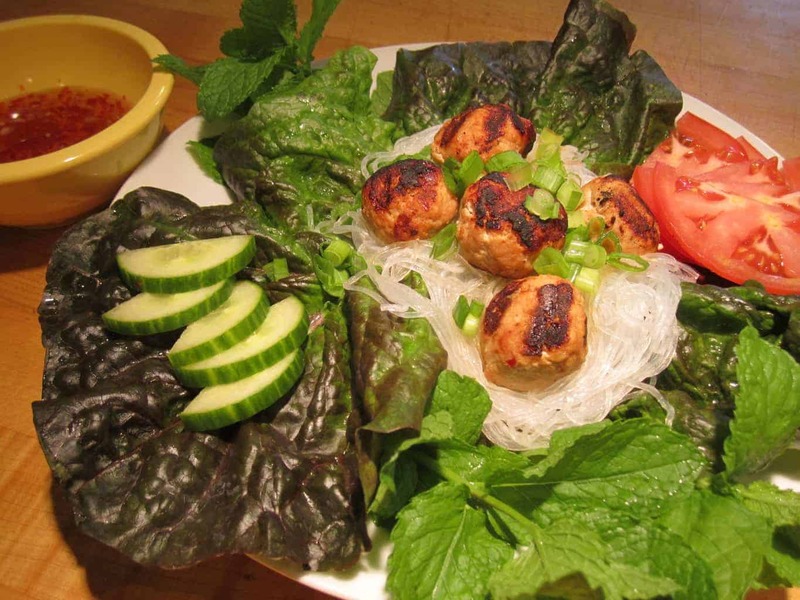 While the meatballs are cooking, prepare rice noodles according to package instructions. Place cooked noodles on a large plate along with the carrots, cucumber and herbs. 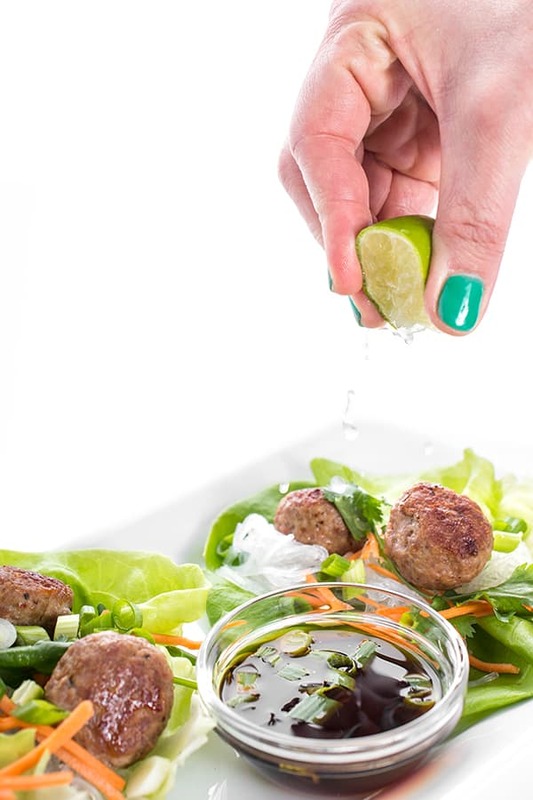 Working one lettuce cup at a time, fill each one with equal parts noodles, veggies, herbs and meatballs. 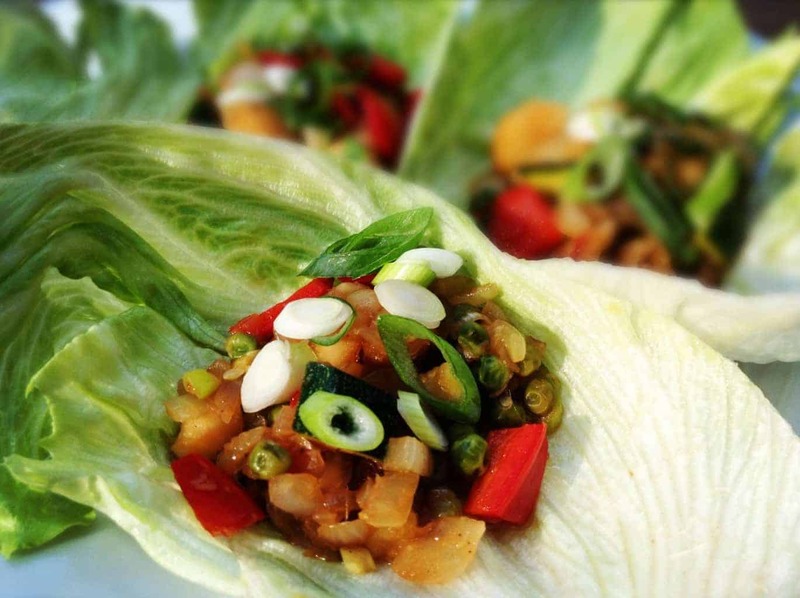 Serve with dipping sauce on the side. 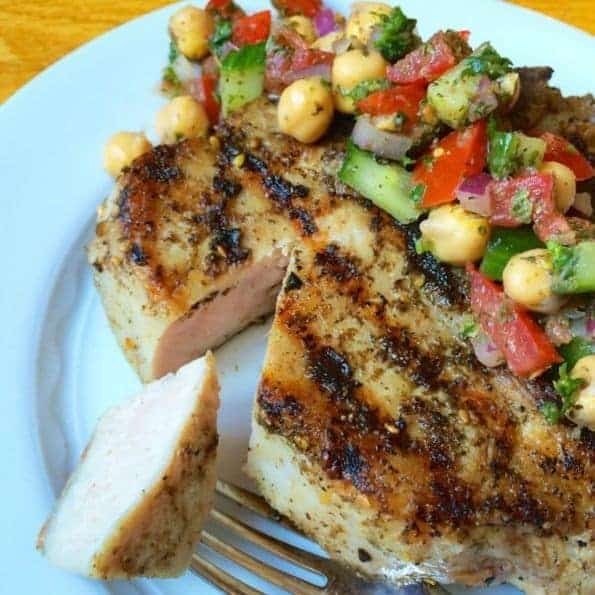 Want more easy and delicious dinner recipes? 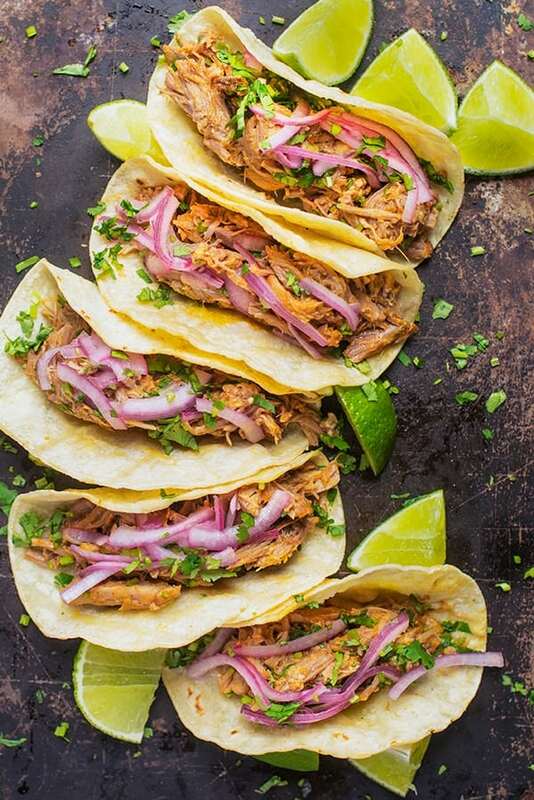 Head over to my Pinterest board! Previous Post: « Full Body Workout Without Any Equipment!